Local SEO is a powerful and effective digital marketing strategy to be used for business owners who are looking forward to sell off their products to local customers. They adopt this strategy when they don’t show up in local search and when they’re missing out on vital customers. Generating more revenue, increased visibility of your brand image and increased web traffic are the definite advantages of investing in local SEO. But to exercise control over your local SEO results, don’t you think you need to follow certain local SEO tips of the season? Here are some SEO tips to consider. We learnt recently that approximately 50 billion voice searches occur on personal assistants like Google, Alexa, Cortana, Siri every month and this accounts for around 10% of the global search volume. You don’t need any big reinventions to your SEO strategy but just a little bit of adjustment here and there. Mobile voice searches are 3 times more likely to have local intent and they have generally long-tail queries. You need to keep that in mind while deciding your strategy. There are still so many brands which spend a large portion of their budget on the print media whereas they should be focusing on mobile devices. Retailers see that more than 70% of their traffic come from mobile devices and hence individual locations usually benefit from bigger investment in mobile. Henceforth you should optimize your mobile pages for user experience and search, utilize a mobile store finder and keep mobile intent in your mind as you create content or name pages. Links are still considered to be the currency of the web and they tell Google how much relevant you are amongst your local community and also assists you in ranking in local queries. 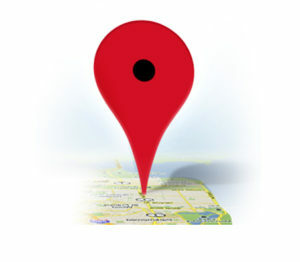 You don’t require chasing big media mentions or spend any huge amount on PR to achieve success in local link building. Instead, you should watch out for opportunities to connect with service clubs, other stores, non-competitive agencies or sports teams through sponsorships and co-promotion. Therefore, if you’re wondering about how you can improve your local search results, you should follow the local SEO tips mentioned above. Get in touch with a pro company so that they may guide you through the right way. To get more knowledge on seo best practices, visit here.